Are there any indestructible squeaky dog toys? Are “indestructible” plush dog toys really tough enough for power chewers? Are indestructible dog toys really worth the high cost? Can you make cheap homemade dog chew toys for aggressive chewers? Which Type of Indestructible Dog Chew Toys Are Best for Your Pup? Chew Toy Safety Tips When Using Dog Toys for Aggressive Chewers! The quest for dog toys for aggressive chewers is one that you and I (alongside) every dog mom or dad has or will have to go through to keep their pet safe, furniture safe and keep their pets away from the hospital. Can your dog rip a chew toy in half in less time than Serena Williams hitting the ball? We understand the struggle of keeping plushes, ropes, and balls entertaining to your doggie – and more importantly away from your bed, pillows and shoes. This is why we have compiled a list of dog toys for tough chewers, that will give you and your dog value (and won’t get destroyed in an hour or worse, 30 minutes. In this guide, we’ll show you how to find indestructible dog toys Amazon built specifically with tough chewers in mind and will not harm your dog-friend in anyway. Also, we’d share our top picks when it comes to tough and rough dog toys. When it comes to the matters of selecting heavy-duty dog toys for tough canines like Pit bulls and Rottweiler’s, you will need to pick one made of suitably tough teeth-proof materials. As you read further, you’d discover the materials that you would want to seek out, as well as a few other materials you want to make sure to avoid. The materials listed below are some of the very best durable dog toys options, which should handle your dog’s dental daggers well. You’ll still want to use with caution (and keep an eye on things) at the outset (because no material is 100% indestructible), but these materials are often very durable. Rubber: Most dog toys created with aggressive chewers in mind are crafted out of rubber. Rubber is durable and almost indestructible, so rubber dog toys should be first in your selection when shopping strong dog toys. Keep an eye out for rubber toys with soft, malleable edges that are not sharp and are smooth. Soft rubber toys for canines are perfect for puppies who are teething! Thick rope material: Rope toys are another well bought dog toy for tough chewers. The reason being that rope toys are durable, easy to clean (simply throw them in the wash), and relatively safe. I know what you’re thinking…. What if my dog ends up eating a few strands of cotton rope? Not to worry, this won’t send them to the emergency room. A large number of rope toys can double as tug-of-war toys, providing fun for canines and their owners! Aside this, rope is also a great leash material for tough dogs that might chew or bust through traditional leads. Chew toys made with the items or materials listed below should be avoided as they are almost never strong enough to resist the power of rough chewing pups. To play safe and enjoy value for your money, you might want to avoid them fully. Squeaker toy: Yes, It is possible to get indestructible squeaky dog toys. These are packed with loads of fun, but still…. The risks are just too high for aggressive chewers. Tough dogs can easily tear through most “indestructible” squeaky dog toys in their bid to discover the noise-making machine device inside it. As soon as they find that squeaky, the normally eat it, and that’s no good for you or for them. You can use squeaky toys for interactive use if you watch your dog closely, but they should never be given to dogs for solo play. Fleece or Plush toys: Fleece and Plush toys are generally more adorable. After all, who doesn’t think their dog chewing Darth Vader doll isn’t cute? Too bad, indestructible plush dog toys just don’t exist. Almost every aggressive chewer will rip right through these toys like a piece of paper an eat up the insides, leading to disgestive issues, discomfort, serious medical issues, or even death. Vinyl or Latex toys: Like plush toys, these toys are fun and cute, but they just aren’t durable enough for rough dogs. When your dog’s bite through toys likes these, they can also create sharp edges that will harm your dog’s mouth and cause extreme pain and discomfort (as well as potentially lead to an infection). Almost all materials used to make indestructible dog chew toys fit neatly into one of the two categories discussed above, but others aren’t so easy to characterize (especially homemade dog chew toys for aggressive chewers). Kevlar: Kevlar is a fabric used to manufacture sails, drum heads, bullet-proof, and other items which can stand up to a certain amount of tear and wear. And over the last decades, plenty manufacturers have begun making Kevlar dog toys. There are plenty reasons why Kevlar dog toys are considered when one is on the lookout for power chewers. For starters, it has a tensile strength five times stronger than steel! But part of the reason is that it stops knives, bullets, and it stop’s your dog’s teeth from piercing through. In reality, Kevlar doesn’t always work well for chew toys. It does appear capable of standing up to some dogs (even power chewers), but it falls apart quickly when more than one fierce chewer get their jaws on it. Firehose Material: A small number of manufacturers create their toys from fire horses. Firehorse material is built to handle incredible internal pressures as well as the wear and tear experience during use, so it is certainly a material worthy of consideration. Too bad, it isn’t as great as dog owners hope it would be. While firehose dog toys do appear to withstand pressure well for some dog owners, they have failed sweetly for others. A few manufacturers make their toys from fire hoses. Firehose material is built to withstand incredible internal pressures as well as the wear and tear firehoses experience during use, so it is certainly a material worthy of consideration. One nasty experience is one family who spent thousands of dollars to save their dog after she choked on part of the toy. So, while you may see firehose dog toy as a new experience to try, make sure to use with caution when doing so. The entire topic of chew toys- primarily those designed with aggressive chewers in mind – brings a lot of unanswered questions in the minds of owners. We’ll try to answer a few of the most popular questions below (and we’d be happy to entertain some from you). A big share of squeaky toys is plush animals that contain a small plastic squeaker. Plush toys normally aren’t rough enough for power chewers, and squeaker can result in some serious health problems if swallowed. You, might be able to safely use a squeaker toy for tugging games, fetch or other types of interactive play. Just make sure you keep a close eye on your fur-friend while doing so. No doubt, plush dog toys are darn cute, but they’re barely strong enough to withstand serious chewers. Even dog who don’t or can’t chew through the plush material will likely pull the seams apart, eventually opening up the toy like a pistachio nut. But we’re always curious as to what our reader’s experience, so let us know if you’ve uncovered a plush dog toy that is strong enough for your toothly terrier! Many pet owners just select the cheapest chew toy for dog they can get find online and offline, with the understanding that they’ll simply purchase a new one once the former is done with. But to be honest: This is a terrible idea. Over time, the amount of accumulated cash you spend on cheap chew toys becomes expensive, and cheap chew toys put your dog’s life in great danger. As earlier stated above, it doesn’t make sense to save some bucks, only to find yourself writing a big check to your vet at a later date. We support DIY solutions, but making homemade chew toys for power chewers is really a bad idea. The cons and dangers of doing so simply outweigh the benefits of making your own toys. Plus, chew toys aren’t really that expensive, so you wouldn’t end up saving that much money anyway. Now that you have in-depth knowledge on the types of materials that often work best for power-chewing pups, it’s time to take a look at which dog chew toy shapes and designs are best. There are a various options on the market, and they each work best in different situations. For instance, some dogs need a chew toy that’s fun to throw around at the park, while others need a chew toy that they can enjoy alone. As expected, we will talk about the advantages and cons of the available chew toy styles in the dogworld. This is what we call indestructible dog bone. Because bone-shaped chew toys are in almost all cases best-suited for dogs who like gnawing on things for a long periods of time. They provide your pet two or more different shapes (the bulbous ends and the middle section) to enjoy, and dogs are able to manipulate and hold it as they wish. They’re too heavy to work well for tugging games, and they don’t work well as throwing toys (due to weight). However, there’s a reason the classic bone shape is well known (aside it being cute), and the best dog chew bones often make great heavy-duty dog toys for power-chewing pups. If your dog loves to play fetch or chase toys that bounce in unpredictable ways then the Ball-shaped chew toys are best fit for them. They are safer than tennis balls, handle wear and tear better than many alternatives (like the traditional Frisbees), and most will work well with ball-launching devices. Solid rubber dog balls are at times recommended by vets, but some indestructible dog balls are hollow inside. As long as the materials used to make them are resilient enough for your dog’s teeth, wither style will work great! Unfortunately, ball-shaped chew toys aren’t great for solo chewing sessions, and are totally useless for tugging games too. Many super-resilient dog toys are created for playing tugging games with your pet. These toys often have some form of “handle” for you and your dog to grab on to, and are created from materials that have a high tensile strength (which means that they won’t break easily if you both pull on each end). Depending on designs and materials, some will work for solo-chewing or fetch time too. 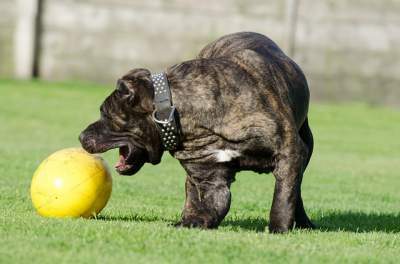 At any speed, plenty power-chewing dogs love to play tug of war with their family, so these are some of the best indestructible dog toys for pit bulls, Boerboel, Rottweilers, and other pups that love to pull. If you own a smart canine that gets bored easily, you may want to consider dog toys that hide treats inside. These toys will in most cases keep your pet busy for long hours of the day, as he/she will have to work hard to obtain the tasty prize. These types of toys don’t work well for tug of war, or fetch, but they’re great for giving your dog an outlet for his problem-solving and chewing instincts. Additionally, yummy treats delights your pup’s heart. In the dog toy manufacturing business, there is no end to creativity, and only a handful of companies make novel toy, which doesn’t clearly fit into one of the categories discussed above. Novel Chew toys usually feature unusual designs or shapes, which are often designed to address specific needs. The West Paw Zogoflex Hurley is a good example (scroll down to read an in-depth review of this particular toy). It’s kind of bone-shaped, but the producers have tweaked the design a little bit to make it easier for dogs to hold with their mouth and paws. Another sweet example is West Paw’s Zogoflex Jive Ball. Unlike the normal “standard balls”, this one is designed to not only be super-durable, but also to bounce in unpredictable ways that drives your dog’s cray-cray. It’s sometimes difficult to make broad generalizations about the applications that are best for these non-traditional toys, so you’ll just have to evaluate on a case-by-case basis before giving. Size is important when it comes to getting the right dog toys for aggressive chewers. Toys that are smaller can easily make large dogs choke. Here is a simple trick that helps – apply the same discretion you would use with a baby – if it has the potential to cause choking, avoid it at all cost. Always buy your dog, toys that are always too big to swallow! Plus, generally speaking, the larger the toy, the better it will stand up to your dog’s jaws and teeth. Almost every dog toy company market their toys as tough, but few stand up to the test. These manufacturers are pros that have proven their words when it comes to designing tough, durable dog toys that can withstand the powerful jaws of your pet chewer. Well known for their Kong ball, Kong creates some of the most durable dog toys on the market. They also have created some pretty decent variety, providing snacks, balls, toys, and more. Plenty Kong toys also have holes that cab be filled with goodies or treats that keeps dog occupied while their owner is away. West Paw Design is another dog toy brand that creates dog toys for aggressive chewers. All their toys are made in the USA (Montana, Bozeman, to be specific), safe, and 100% tough chewer guaranteed (which means that they accept returns without charging extra). All their toys can be recycled and are also FDA-compliant. See the full variety of West Paw Design’s great toys! Nylabone specialized in dental dog chews that help promote good canine hygiene. With toys and chews in multiple designs and sizes, Nylabone is a favourite of veterinarians and amongst small dog breeds that don’t shed. Check out the full collection of Nylabone offerings! Power chewers comes in all breeds, shapes, and sizes, so there aren’t any pre-made rules explaining which dogs will need premium chew toys and which ones can get by with run-of-the-mill versions. But, there are a small number of breed that often require heavy-duty dog toys. To be honest, you’ll often need indestructible dog toys for pit bulls and other breeds with big jaws and blocky head shape. We wanted to talk about one more thing before we dive into the top dog toys for aggressive chewers/power chewers. Dog ownership cost a lot, yes, and you and I have budget limitations. But while you can try to save some cash on some purchases for your pet, do not be stingy on your dog’s chew toys – especially if your fur-friend is a power chewer. In other words, cheap chew toys may endanger your dog’s life. You won’t care that you save a few hundreds on a chew toys if your canine ends up in the vet’s office, causing you to spend thousands of dollar in medical bills. Aside safety concerns, cheap chew toys don’t save you any more in the long run. You’d only be spending more. You’ll only end up spending more money over time by replacing them more quickly. So, kindly go ahead and pick up a few of the best dog toys for aggressive chewers you can discover. Here are the best choice you could make when it comes to selecting the top dog toys for tough chewers. Ti’s true that no dog toys for aggressive chewers is 100% guaranteed to be indestructible, these dog toys comes as close as it gets. About: This dinosaur “shaped” dental chew toy is a Nylabone favorite, featuring a super tough T-rex design. It’s so fun and cute to watch your pup wrestle a T-rex, all while cleaning his teeth! It’s no wonder it is No.1 in our list of dog toys for aggressive chewers. Designed with tough chewers in mind: This toy’s rounded bristles and nuts help control tartar, clean teeth and prevent plaque build-up. Up to 50lbs: Said to really suitable for dogs that weight up to 50 lbs. Made in the USA: This chew is produced in the USA – always good to see your dog toys aren’t coming from China. Available in several dino shapes: Aside a t-rex , there are other dino to choose from. This toy is also available in Stegosaurus and Brontosaurus. Can’t choose just one? Grab the whole set of dino chew toys! Pros: This dog toys for aggressive chewer is durable and tough, and it does a fine job of cleaning your doggie’s teeth! As a major bonus, the dinosaur shape is perhaps the coolest dental chew fun toy you can get your hands on. Cons: None that I know if. Chances are your dog might not like it due to preference, but even this will almost never happen considering the killer reviews from other owners. About: The West Paw Zogoflex Hurley Tough Dog Bone is a tough and rough dog toy for aggressive chewers. Simply put, this is one of the best dog chew bones around for solo chomping, and it is also gregreat for playing fetch. Floatable: This WP ZH dog bone can float in water, making it great for playing fetch at the pool or beach. 100% damage free guarantee: If your dog destroys the Hurley bone, buy a new one ASAP! Manufactured in the USA: Produced in Montana, Bozeman, like all West Paw toys. Easy to clean: To clean, simply thrown in the dishwasher. Real safe: This toy is BPA-and-Phthalate-free, FDA compliant, and non-toxic. Pros: This dog toy floats, touch as a rock, and can be gnawed on all night, and it can even double as a fetch toy! Cons: While lots of owners love the Hurley and other Zogoflex dog toys, they have proven to not really be indestructible. Many buyers on Amazon marketplace have made reports of their dogs totaling these beloved bones. The good thing is that they have one of the coolest customer care, and they’ll send you a new one no problem! About: The West Paw Tux Stuffable Treat Toy, designed for aggressive chewers (another example of dog toys for aggressive chewers), adds in the option to insert goodies and treats, which are released as your dog plays. This is No.3 on our ratings for best dog toys for aggressive chewers. Cute hollow space for treat dispensing: Feel free to stuff the Tux toy with treats, encouraging your dog to play and engage with the toy, which in turn keeps him stimulated. Flies, Floats, and bounces: This dog toy can almost all of your canine fun cravings – it can bounce, float, and be used for fetch! Simple to Clean: Like the Hurley bone, the Tux can also be tossed in the dishwasher for a fast and easy cleaning. Ultra tough: The Tux is designed specifically for dogs that love to gnaw. Pros: Owners are left jaw-dropped at this toy’s ability to handle tough chewers. It is made in the USA (as with all West Paw products). It also comes with a 100% aggressive chewers guarantee. Cons: A small percent of canines are known to have somehow burst through this toy. But, the bigger numbers of owners with tough chewers have agreed that the Tux handles the pressure well. About: The Bumi Tog-o-War is yet another West Paw product, this time (it comes) with a funky tug-of-war tough toy that aggressive chewers and their human companions will both enjoy! Tug away: This colorful tug-of-war toy can stretch twice it’s length, for unrestricted tugging potential! Unique “S” shape: It features an uncommon interactive shape that allows two dogs or canines and humans to get in on the fun. Toy can be used to fetch or tug. Easy on the mouth: While this toy is durable and tough, it’s also made to be gentle on your dog’s mouth. Floatable: Like other West Paw dog toys, the Bumi also floats in water well! Pros: Pet parents who own it describe the Bumi as a tug-of-war tank – it can withstand even the toughest of dogs and don’t break a sweat! The Bumi is also made in the USA and has a tough chewer guarantee like all West Paw toys,. Cons: As previously said, no toy is 100% indestructible all the time for every dog. Once in a while, a super dog with awestruck biteforce might be able to bust through this thing, but those cases are 1 in 1000. This pet toy is a safe bet! About: The Tuffy Mega Boomerang is one of the few dog toys for aggressive chewers made of created out of fabric that can withstand those tough teeth! Available in different colors: Available in brick, tiger or chain link design pattern. Floats: This yet another tough chewer dog toy that floats on water! Can be Machine Washed: Simply throw it in the machine to get it clean. Tug or Frisbee: This toy can be used as a a tug-of-war toy or frisbee fetch toy. Tons of layered stitching and material. This Tuffy dog toy comes with different layers of luggage-grade material with plenty layers of cross stitching for additional protection and safety. Pros: One of the few ULTRA-TOUGH soft toys suitable for chewers. The extra layers of stitching and webbing make this one of the rare soft toys that tough chewers can enjoy. Cons: Not plenty – as with all “indestructible” dog toys, some dogs will destroy the toys, but most owners have found the Tuffy Mega Game! About: The Kong Flyer is a great durable and strong dog toy from the Kong collection, fit for throwing with your dog-friend. Durable and Tough: The Kong Flyer is made out of the classic and trusted KONG natural rubber that’s also non-toxic. Great for Playing Fetch: This toy is great for playing fetch with your rough chewer. Extremely safe: Because the Kong Flyer is made of rubber, it’s softer on your dog’s gum and teeth than classic plastic frisbees. Available in varius sizes: Comes in large and small size. Pros: The best frisbee dog toy for tough chewers. It can withstand powerful jaws that normally bust through traditional flying disks. Cons: Some buyers are of the opinion that KONG has changed the design of their Kong Flyer and discovered that the new flyer does not fly as straight as the previous model. About: The Kong Extreme Dog Toy Rubber Ball is another top rated Kong product known to be tough and can withstand aggressive chewers and their relentless teeth. An excellent choice for pooches that wreck balls. Plus, this is considered an indestructable dog ball. Ultra durable and bouncy: This KE bouncy ball for chewers is the most durable dog ball on the market. Puncture resistant: This rubber balls claims to be 100% puncture-resistant. Manufactured in the USA: Like every KONG products, this rubber ball is made in the USA. Pros: This 3-inch sized super bouncy ball is fun for your dogs to chase inside or outside, It bounces quickly too. Cons: Nil except that some owners agree that it appears to be a solid rubber ball, but in other cases have a hole drilled through the middle of this set of dog toys for aggressive chewers. The Mammoth Flossy 3-Knot Tug Rope is a durable rope toy with two benefits, cleaning your dog’s teeth and making you have fun! Different sizes: Comes in 5 several lengths and sizes depending on your dog. Encourages healthy dog teeth: The rope fibers will floss your dog’s teeth as he tugs and chews! Three Color-blend: Thus tug rope comes in three different colors woven together for a fun design. Pros: Owners like it that this tug rope is thick (2 inches), making it super tough and durable. Pet parents also love it that the rope has 3 knots, making it real easy to keep one’s fingers out of your dog’s way while playing tug of war! Cons: This particular dog toy is made in Mexico, not the USA. The Tuffy Ultimate Ring is a soft toy that’s much more durable than most dog toys for aggressive chewers on the market. The manufacturer recommended you use it for interactive games like fetch, tug-of-war etc. rather than unattended chewing sessions. It floats: The Tuffy Ultimate Ring floats, which means your dog will like it when you hit the waters. Rated as a 9/10 on the Tuffy TuffScale: This is one of Tuffy’s most durable options, and it should work well for dogs who make quick work of lesser toys. Easy to clean: Washing the Tuffy Ultimate Ring is easy; simply toss it in your washing machine and then let it air dry. Made with 4 different layers of fabric: This makes the toy more durable, provides a great texture and mouth-feel for your pooch. PROS: This toy is one of the best when it comes to tugging with your four-footer and it also works great for fetch-style games (it seems to fly well). CONS: This toy contains two squeakers. And while you should avoid giving aggressive chewers squeaky toys for solo chewing sessions, it’s probably safe to use squeaky toys for interactive play, while paying close attention to your pup. The Jive Zogoflex is a somewhat indestructible dog ball that is excellent for aggressive chewers who love to play fetch. Plus, this toy is bounces in unpredictable ways which makes it tougher and safer than a tennis ball. This fetch toy floats: This makes it perfect for playtime at the beach or pool. Several colors and sizes: The Jive Zogoflex is available in 3 sizes and 3 different colors. Eco Friendly: Once you’re ready to replace it, You can recycle your Jive Zogoflex. Made in the USA: All West Paw Design products are made in the USA. PROS: About 80% of owners who tried the Jive Zogoflex loved it. These toys appear very durable, and they provide loads of fun for your pet. With any ball-throwing device, you can launch the Jive Zogoflex a mile away. This will help provide lots of exercise for your high-energy canine..
CONS: While the Jive Zogoflex was durable enough for most dogs, it isn’t 100% fail-proofs. A few dogs had been able to wreck it. A few owners also mentioned that it was a bit heavy, especially for small dogs. This is no doubt the toughest chew toy money can buy, you really need to check out the Goughnuts MAXX 50 Ring. This toy is not only tougher than hell, it has a very helpful safety feature built in. Visual indicator makes it easy to assess the product’s safety: The outside layer of the Goughnuts MAXX 50 Ring is black in color, while the inner layer is red. It’s safe to use as long as you don’t see red showing. Backed by the manufacturer’s guarantee: You can send it back to Goughnuts for a free replacement if your dog exposes the red coloration. Made in the USA: All Goughnuts toys are made in America. Works for Solo Chewing or Fetch: Despite being heavy, thick and super-durable, all Goughnuts toys float. PROS: Owners say that the Goughnuts MXX 50 Ring is able to handle everything dogs throw at it, and the added indictor system gives owners great peace of mind. Different owners reported that it has outlasted every other chew toy they’ve tried. CONS: There doesn’t appear to be a bad side to Goughnuts chew toys. Although some few owners complained that it smelled kinda gross for the first few days, but this odor wears away quickly. Also, because they’re black, they are easy to loose in some cases. Goughnuts dog toys for aggressive chewers are a bit more expensive than other toys, but this is clearly a case in which you get what you pay for. 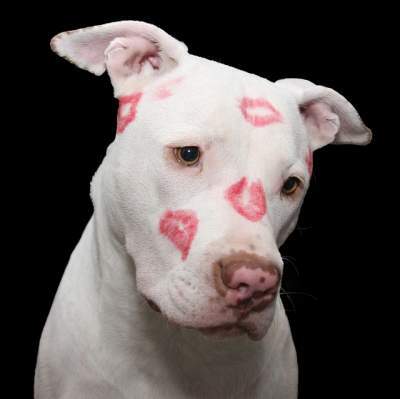 Special note for pit bull owners: As an APBT owner, you already know that your bully if given the chance could probably chew his way out of a bank vault. But fortunately, many owners reported that the Goughnuts MAXX 50 Ring was one of the most indestructible dog toys for pit bulls they’d ever seen or bought. The PetSafe Buddy bone offers all the chewlicious fun your dog needs. PROS: It is made out of rubber and super bouncy. It is affordable too. This Orbee-Tuff ball is great for playing fetch and is crazy-tough. Plus, you can squeeze a couple of your dog’s favorite treats in the Nook’s nooks and you’ll be good to go. PROS: Very bouncy and will keep your dog exercised. CONS: Your dog might swallow it so it’s best to use with supervision. This dog bone is made of aple real wood and durable nylon, Benebone’s Maplestick is both tougher and safer than a real stick. PROS: Great for games of fetch and long lasting chew time. Also available in size small, medium, and large. CONS: Some dog breeds like Pits are known for ripping this in half. We hope you select one of these dog toys for aggressive chewers to buy. You’d love them! This non-toxic and American made toy is covered with a durable diamond-plate pattern that makes for a good grip on your pup’s sharp teeth. With a nice buoyant bounce, your dog will love playing fetch with this ball…. Do not allow it chew on it. Remember, Fetch only…..dog toys for aggressive chewers! Made of solid, super-sturdy natural rubber, this nifty toy is a match for the strongest doggy jaws. It is available in small and large, this brightly colored is easy to spot for outdoor play, and made for easy cleaning, too! Manufactured out of natural rubber and tough polyester, this tough-durable toy is perfect for your hentle (or not-so-gentle) giant. Gone are the days of your140 lb beauty chasing a teeny tiny tennis ball. This bright and appropriately sized toy will be your big dog’s new favorite. This is why we put this on No.17 on our best dog toys for aggressive chewers ratings. This durable rope toy comes in 2 sizes and is real fancy. It speaks class and will have your pup eliciting a high class attitude pretty soon. A puzzle toy that contains treats for your mastermind pup to get out. This one is unique because it’s geometric in shape and can be connected with other Odin toys to increase the difficulty for your pups! Some chew toys are truly safer and more durable than others, but no toy is completely indestructible. Chew toys are important when it comes to dog care, but you must be sure to keep your dog’s safety at the forefront of your mind. NEVER allow your dog to chew on his new toy without supervision for a week or so: This will give you some time to confirm if the toy holds up to your pup’s chompers. Examine the toy after each play session: Look for any serious puncture holes or damage and proceed accordingly. If your dog puts a small number of tooth marks in a hard-rubber toy, it may still be safe to use. But, if your pooch has managed to peel or rip off any pieces, you should return it to the manufacturer or discard it. Keep your pet’s toy clean: Do not forget to clean your pet’s chew toys on frequent basis. Your dog’s toys certainly don’t need to be sterile, but you don’t want them to become coated in bacteria, saliva, and dirt from the kitchen floor. This is mostly important for dog toys that work in conjunction with treats. Be careful when playing with tug-style toys: Almost every dog love playing tug-of-war, and there are a plemty of great toys designed for doing so. Employ care not to jerk the toy while it’s in your dog’s mouth and always ensure he gets a good grip with his teeth. Failing to do so could lead to very expensive (and painful) dental problems. Be careful with toys if you have many canines: Some dogs become very possessive of their toys, which can lead to intimidation, fighting, and other types of social strife among your pups. *** The best dog toy guide and dog toys for aggressive chewers! So there you have it — 19 of the best, most durable dog toys for aggressive chewers! Do you have more toys to add to the list? Share your favorite rough and tough dog toys in the comments below! Have you got other Pets on your hands? Make sure to also check out our articles on The Best Yaheetech Bird Cages …..!